I'm the proud new owner of a 1990 Ford campervan--an Intervec Falcon conversion. 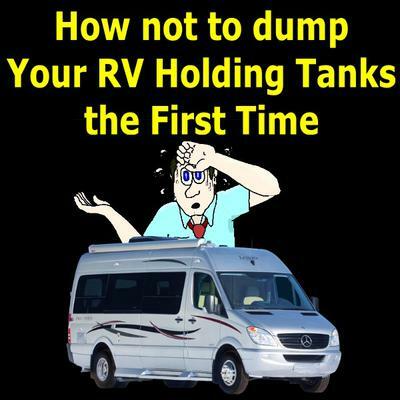 This is my first RV, so I've read and studied all the ins and outs of all things RV, especially dumping. I pulled up to the dump station, every step rehearsed in my head. Gloves, water hose, slinky, and a plan were at hand. Now, the outlets to the two tanks are completely separate on this van--no rinsing out the black tank with gray at the push and pull of a lever--you have to do one and then the other as separate operations. Additionally, the valves are not easy to get to, especially the black water tank, as it sits underneath the running boards which are already pretty low to the ground. After reattaching the hose and a good tightening of the hose clamp, the rest of the dump went as planned. Ironically the gray water tank smelled worse than the black. And my sensors still aren't working, but I won't make the mistake of checking that hose clamp each time. My second time to dump, which is coming up soon, might be done at night just to make sure I don't embarrass myself.